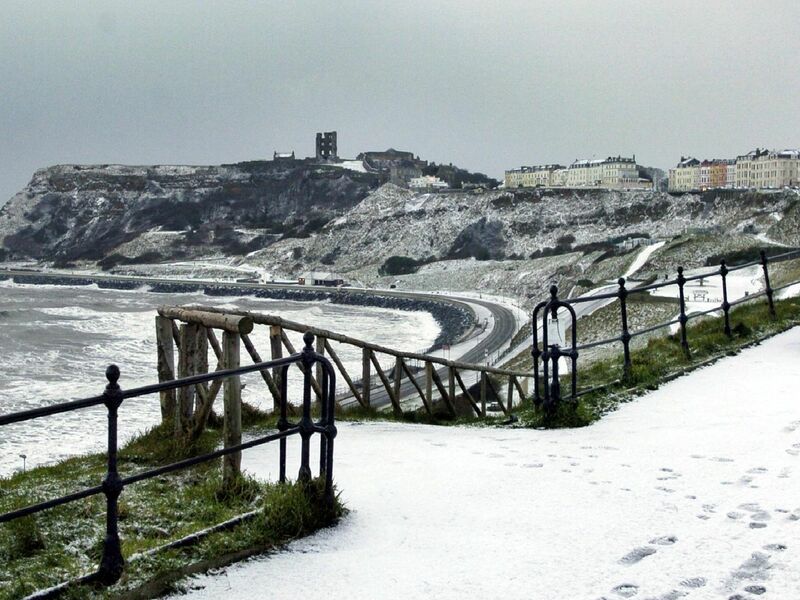 Scarborough's postcards all feature blue skies and sunshine - but the town can look lovely with a covering of snow. We've been looking back at some photographs of wintry weather from previous years. Will we get similar scenes this winter? Snowballs not footballs at Ayton Sports Club field on Wilsons Lane in 2013. Snow topped roofs of Tennyson Avenue, Moorland Road and beyond, as seen from the top of the windows of the St Catherine's Hospice fundraising office at Scarborough Cricket Club in 2003. Scarborough Rugby Club's U17s from 2008, who were unable to play their game because of the snow, take it out on the Scarborough News photographer.